Last month we reported that the new brochures for the 2016 Disney Deluxe Dining Plans did not include appetizers as part of the Deluxe Dining Plan. Well panic over, because Disney has updated the brochures. The updated brochures now do include the appetizers, so no change to the standard inclusion of an Appetizer, Entrée, Dessert and Non-Alcoholic Beverage. Beginning on May 31st, Disney introduced a number of enhancements to the Disney Dining Plan with the aim of increasing the flexibility and usability of the popular inclusive meal plan. The changes apply to most Disney operated locations throughout Walt Disney World, and include an expanded range of snack offerings, more flexible substitutions, and changes to the way adult and child entitlements can be used. Here is a run-down of the changes and how you can use them. All items that are marked on the menu as snack eligible, including those that cost more than $5. All single serve non-alcoholic beverages not served in a souvenir container. All hand-scooped ice cream not served in a souvenir container. All quick service menu side dishes. Fresh popped popcorn (pre-bagged popcorn is not available as a snack item). There is no longer a restriction on the number of entitlements that can be used at a meal. Eg. 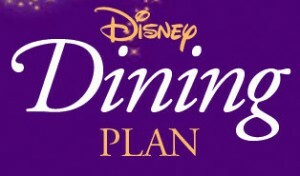 A group of 2 guests on the Disney Dining Plan could use 1 additional entitlement for a guest in that party – making a total of 3 entitlements used for the group of 3 diners. If using the Deluxe, Premium and Platinum Plans, child meal entitlements can be used to choose adult entrees. At some locations, a dessert may be substituted for a side salad, soup or fruit plate if available. A dessert or beverage from the Quick Service Meal entitlement can be substituted for any snack item on the menu within the same order. A Quick Service Meal can be substituted for 3 snack eligible items within the same order. At Quick Service locations, child meal entitlements can be used for an adult meal. Disney has today announced that the breakfast service at Be Our Guest will begin on March 20th. As with most offerings at Be Our Guest, it will once again be offered in a test capacity through to June 18th. 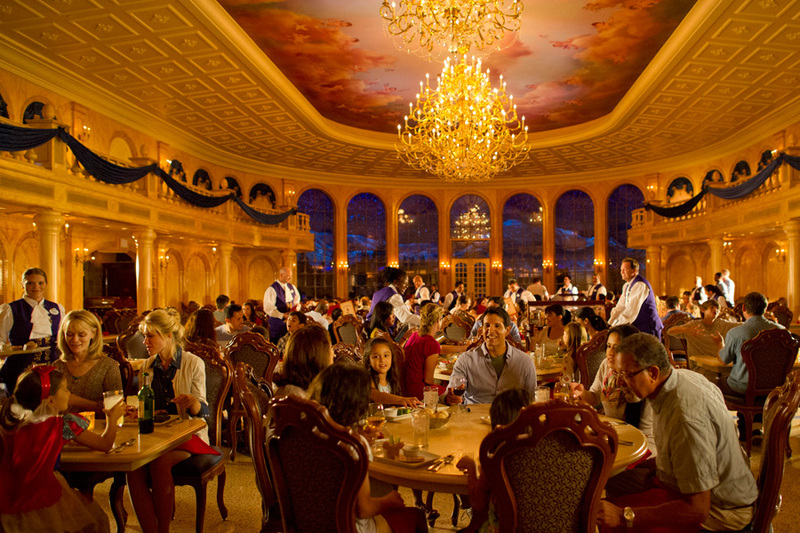 Be Our Guest Restaurant has been extremely popular since its opening. As one of the main additions of New Fantasyland, Disney looks to be seeking to add capacity. Breakfast will begin at 8am through to 10am, and will be quick service prix fixe at $19.99 plus tax for adults, and $11.99 plus tax for ages 3 – 9. Each breakfast begins with a pastry basket for sharing, and then a choice of entree and self service beverage. Breakfast at Be Our Guest will be on the Disney Dining Plan with 1 quick service credit, and just like lunch, it will require a reservation even though it is a quick service offering. Walks up will be offered if space is available, which is very unlikely. Unlike lunch, pre-ordering of menu items will not be available, and selections will be made inside the restaurant. Reservations begin on March 17 using My Disney Experience for dates from March 20 through to June 18th. Ever since we announced that the testing of lunch reservations was ending on February 24th, what was to follow has been speculated about. Well….it’s no longer speculation. Beginning on February 25th, reservations will be available for lunch at the Be Our Guest Restaurant in the Magic Kingdom. Once a guest has made a reservation, either by calling 407-WDW-DINE, or by using the My Disney Experience website or app, guests will be able to pre-order meals using My Disney Experience. The ordering window opens up 30 days before the reservation time through to 5 minutes before the reservation time. For those guests that do not wish to make pre-order selections, menu choices can be made at the kiosks inside the restaurant upon arrival. This system has been in testing for the last year with Walt Disney World Resort hotel guests, but from February 25 this option becomes open to all guests. Dinner remains table service with advance reservations, and expect to see a breakfast offering added to the lineup. Details for the 2015 Disney Dining Plans are starting to emerge! There doesn’t seem to be many changes so far in the 2015 plans, but let’s take a look at a few updates. Disney has added the new Starbucks at Downtown Disney West Side to the plan for 2015. Only breakfast can be redeemed as a quick service meal. Las Ventanas at Disney’s Coronado Springs Resort has been added to the line-up. Breakfast and lunch can be redeemed for a table-service credit. Photos are no longer included at Cinderella’s Royal Table and will now have an extra charge. Two tours — Wild by Design and Backstage Safari — are no longer offered. The cost has increased; figure an additional $5-$10 per person per night. No longer include preferred viewing locations for Illuminations and Wishes. See an in-progress list of the 2015 Disney Dining Plan Restaurants here. Remember, many Disney World restaurants do not re-register with the Dining Plan until the end of the year. Look for new benefits such as food and merchandise discounts and a 15% discount on some Walt Disney World tours.